Another night in the Firelands! What are we doing in that screenshot? I’ll get to that! The raid went very well. I decided to just start showing up with both holy and disc PVE specs. 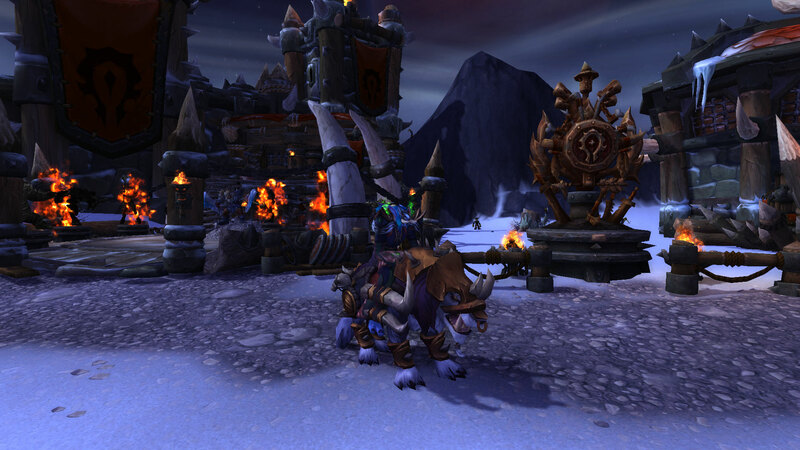 Yes, it means I’ll spend gold on dropping my PVP spec every week, but it’s not that much, and it’s fun to play both. I ended up using disc the entire night. It’s so much more mana efficient! I don’t have mana problems at all with it! Harley switched to her shadow priest this week because Craca switched to his bear to tank. She’s always willing to play whichever character is needed for the raid. That’s just one of the things that makes her a great guild leader! I really hope she enjoys playing all her characters though; I’d hate to find out that she really dislikes certain roles but does them just because she feels she must. And guess what?! I feel like I truly comprehend Baleroc! Hooray! I also managed to score a ring and a wand! However, the best part of the night was after the raid was over. One member decided to play guess-where-I’ll-end-up, and he ended up on top of the mountain seen in the screenshot above. And then he summoned us. The fun part was a minute later, right before we were all about to hearth, an alliance suddenly teleported right next to us. Well, what could we do? Shame the Horde? No, no. We killed him. 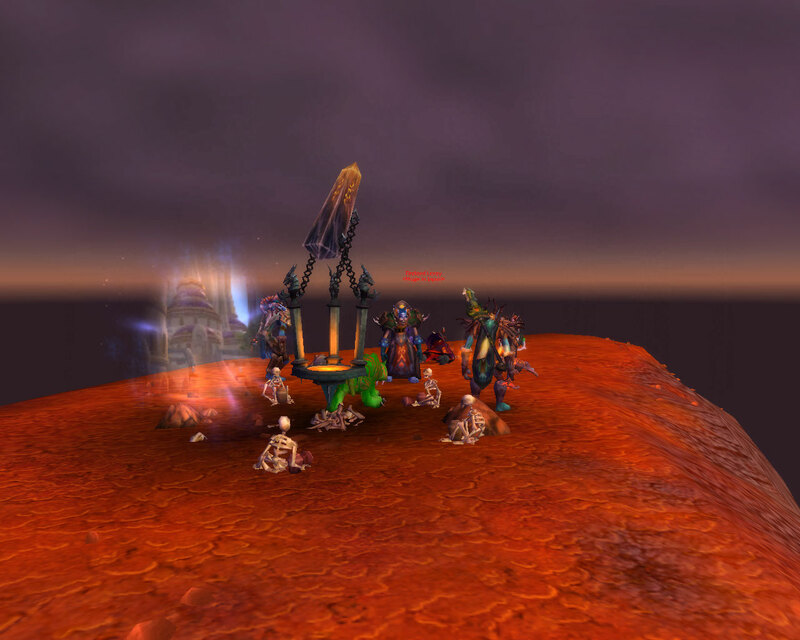 And then we laughed, realizing he’d have to spirit rez. Sorry Mr. Alliance. I usually don’t attack unprovoked, so I hope you enjoy PVP. For those wondering, he was from Huge in Japan, a very good Alliance guild!